ABUSE THE SNOOZE? NEVER OVERSLEEP AGAIN! WHAT IS IT? 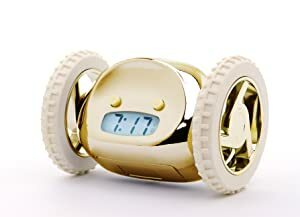 The alarm clock that runs away beeping, to get you out of bed. Can't wake up? You're not alone. Stats show that 40% of people 'abuse' the snooze. Typical alarm clocks just don't work very well. 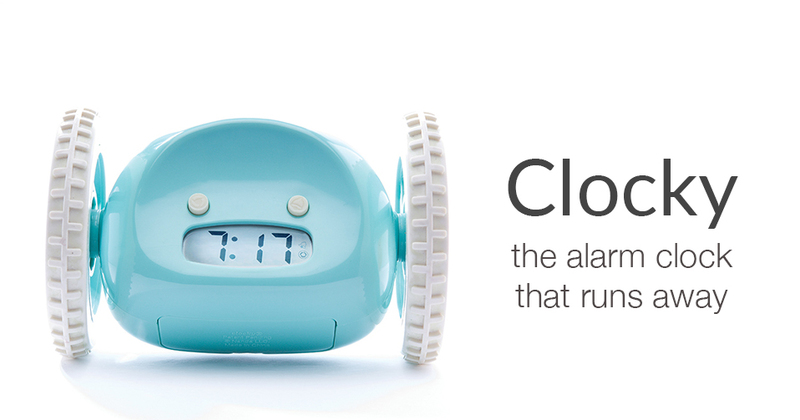 Ours never lets you oversleep again. 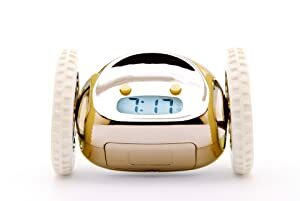 If you snooze, Clocky will jump off of your nightstand, and run around beeping, absolutely determined to get you out of bed on time. 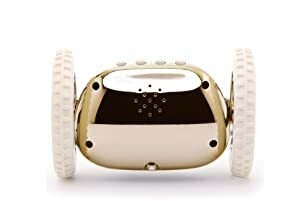 Clocky's hip, innovative and charming. When you look for a mate, you're probably searching for personality, intelligence, a sense of humor. Why should the objects we share our lives with be any different? That's where we come in. Nanda Home is a collection of charming and useful objects for your home. We identify opportunities to make your environment a little more enjoyable. We started with the alarm clock. We thought, it doesn't have to be this way- a black box that stares at you blankly, often failing to do the one job it purports to. We can do better, can't we? We know you could use a little help around the house so we take the things we interact with every day, and re-invent them. We make them move to work better for you. 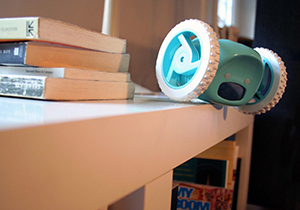 Nanda Home is a collection of charming and useful objects for your home. 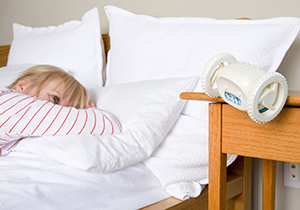 The proud parent of Nanda Home, and the company's main snooze offender. For Gauri, an oversleeper who was routinely late for classes as a graduate student at the MIT Media Lab, waking up would take some ingenuity. Fusing her love for aesthetics with her passion for 'ﬁxing' things that don't work very well, Nanda Home was born. Packed very well, all work. Thank you seller! It's perfect!! Easy to use, sounds strong, a wonder! 100000 stars!! Works fine. respect the seller-i recommend. Fun toy, everything works. Could not understand, but google to all help, there is a video description. As described!! Shop with confidence! I’ll definitely order another one!